It's not just animation held in very high regard by me. Have also had an undying lifelong love of Hans Christian Andersen's classic stories, they're beautifully written and full of magic, emotion and memorable characters. His timeless appeal is more than justified and there is a reason why his name is so commonly associated with fairy tales, along with the darker stories of the Grimm Brothers. Would see any adaptation of his work, animation or live-action, and there have been numerous times where his work has lent well to animation. 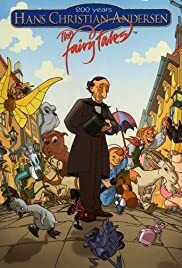 To me this Danish animated series 'The Fairytaler' is one of the best examples and should be more widely known. For good animation, characters that have lost none of what made them so great in the first place and wonderful storytelling that has its own spin yet treats the stories with respect. This is obvious once again in one of my favourite versions of one of Andersen's finest stories. One of my favourite episodes of 'The Fairytaler', along with 'The Ugly Duckling', 'The Little Mermaid', 'The Fir-Tree' and 'Thumbelina'. 'The Fairytaler' is a rarity of a series that doesn't have a bad episode in it, but 'The Snow Queen' stands out among the rest, being in two parts and being the longest episode of the series. Appropriate as the story is one of Andersen's longest and most detailed, so a longer length was necessary. In terms of animation, 'The Snow Queen' is simple but doesn't go overboard with this. It is still beautifully coloured and meticulously detailed with characters that are remarkably life-like and a lot of smoothness and crispness. At the same time, it is one of the best looking episodes of the series, but there are a lot of rich details and little things. The music is whimsical at times, haunting in others and poignant in others, matching with the images more than appropriately. One of the best-scored episodes in my view and it firs the enchanting vibe of the story very well. The intro is magical and impossible to forget and loved how Andersen himself is briefly written in. Here, 'The Snow Queen' is told with elegant style, emotion and entertaining wit, the energy never wavering while never being rushed. The dialogue is never too complicated and not too simple. Yet the spirit and essence of 'The Snow Queen' are captured well, with no effort to dumb down or make it too saccharine. The storytelling charms, entertains, inspires and moves, especially the last adjective, and nothing is juvenile or complicated. The original story makes me cry and enchants me, so did 'The Fairytaler's' version. 'The Snow Queen' has a lot of elements that traditionalists will happily recognise. 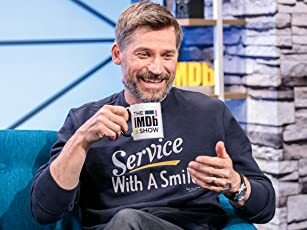 Nothing will traumatise younger viewers and adults should feel nostalgic, traditionalists will find a lot to admire still and making it accessible to present day viewers is handled with intelligence and no awkwardness at all. Characters are all round endearing, without being too cutesy. Really empathised with Gerda and the titular character is much more than a standard villain which is exactly the right approach for her character. The supporting characters are colourful and the ending moves as it should. The voice acting is dynamic and well suited for the characters. Any narration never falls into the trap of telling/explaining too much, there really to introduce the story.